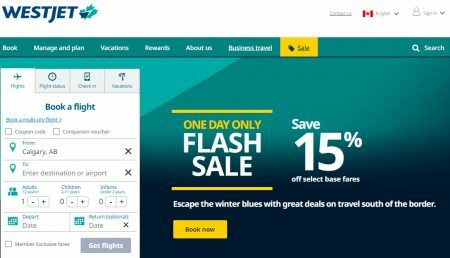 WestJet is having a One-Day Only Flash Sale. Escape the winter blues with great deals on travel south of the border. For one day only, save 15% off Econo base fares on travel south of the border when you enter discount code E7VQ81K.